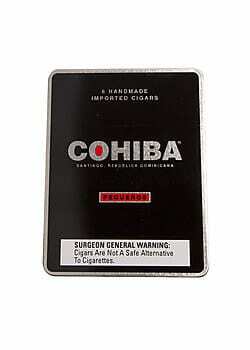 It is said that Cohiba cigars provide the greatest pleasure there is. If you have seen guys blowing out streams of smoke with eye closed, you already know that they are savoring every second. And if you love cigars, you want to light up a stick and join them right away. That is why cigar smokers have no dull moment; there is always something to enjoy. Smoking cigar is more than just stuffing tobacco leaves in your face; it is all about enjoying the aroma, flavors and nuances of your smoke. And the type of cigar you smoke defines who you are. 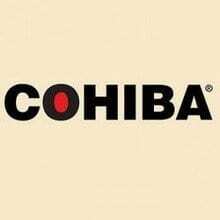 If you are looking for the best cigars with great history, Cohiba cigars top the list. 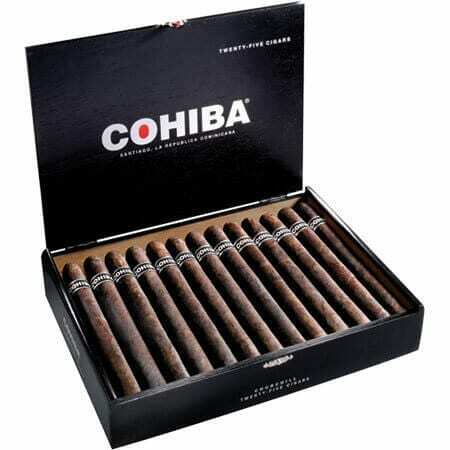 These cigars are made from the dark, rich Cameroon wrappers with flavorful and supple Indonesian Jember binders. Cameroon wrappers are popular for their natural sweetness that is why the wrappers were used for the Cohiba cigars. To complement the sweet taste of the Cameroon wrappers, the maker of Cohiba cigars used long-aged Piloto Cubano fillers from the Dominican Republic to provide a balanced smooth and creamy smoke. 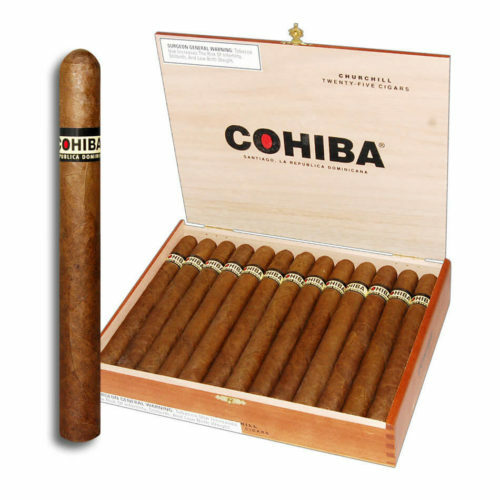 Although Cuban Cohiba cigars cost more than many other cigars, it is preferred by cigar devotee for its medium body, rich flavor, smooth taste and aroma. Most cigar smokers in the US and other parts of the world love these cigars and they smoke it every day. 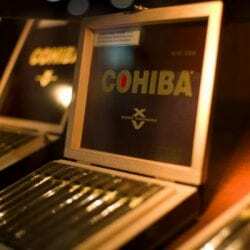 The Cohiba cigars have different lines including Cohiba Lonsdale Grande Cigars, Cohiba Churchill Cigars, Cohibar Pequenos and much more. There are two things we want to make clear here. 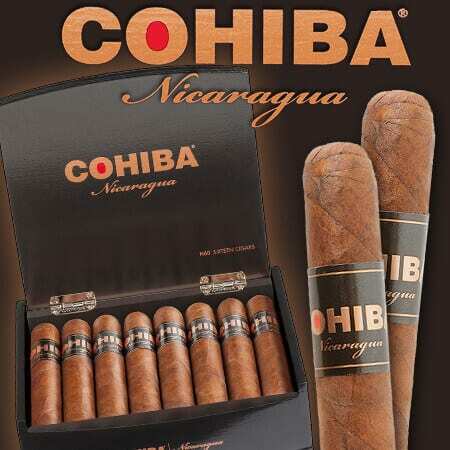 The first is that there are two cigars that are called Cohiba cigars. One is Dominican and the other is Cuban. Of course, there is a legal tussle between the two for many years, but that is not our concern. 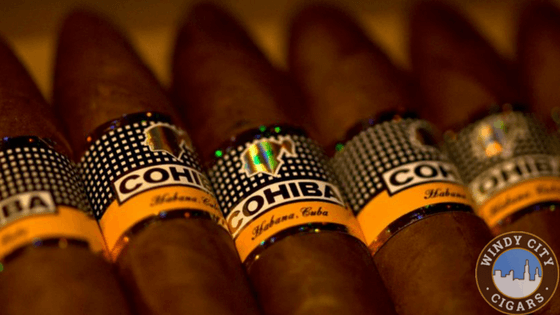 Our goal is to ensure you smoke the perfect Cohiba cigars from the Dominican Republic. 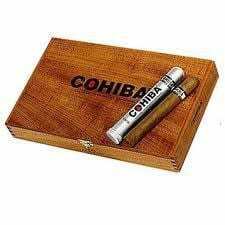 Secondly, many cigar smokers seem to think that Choiba cigars are made with Cuban leaves because of the name, but Cohiba cigars are not made with Cuban tobacco, they are made from dark, rich Cameroon wrappers combined with flavorful and supple Indonesian Jember binders. So this cigar can be legally sold in America. Having cleared those two issues, let’s enjoy life to the fullest! If you are a cigar smoker, you already know that smokers have no dull moment because there is always something to complement your day. 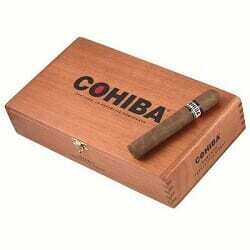 Talking about Cohiba cigars; let’s get to know various lines of Cohiba cigars. This classic Cohiba Churchill cigar is famous for its Indonesian binders, toothy African Cameroon wrapper and the most exquisite filler tobacco from the Dominican Republic. It is handsome looking and has a taste with flavor note of cocoa, spice and nuts – all packaged in one cigar. This cigar is a medium-strength cigar with a drier finish than other cigars out there. The African Cameroon wrapper used for this cigar is one of the most delicious wrappers and you are definitely going to enjoying this cigar, whether outdoor or indoor. 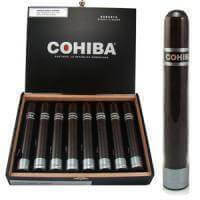 Wrapped in a fantastic Connecticut Broadleaf wrapper, Cohiba black Cigars feature full flavor, rich profile that can’t be found anywhere else. This cigar is bold and authentic as it offers a masterfully balanced smooth, aromatic and satisfying taste. It is robustly layered for a great smoking experience. 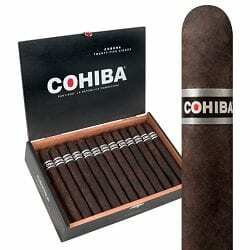 Cohiba black Cigars is one of the best and the most popular cigars in the world and if you have never smoked it before, this is the time to smoke it and see how sweet it is. It is enjoyable and can be smoked anytime. You will never regret getting your hand on Cohiba black Cigars. It is time to smoke the best cigar! 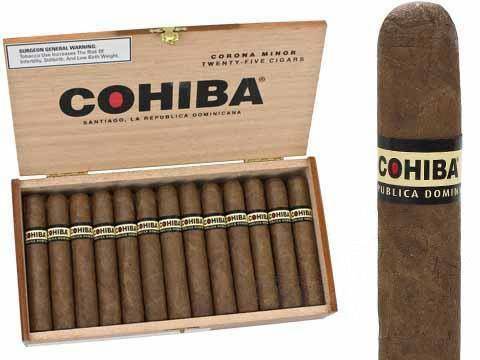 Cohiba Dominican Cigars are popular among cigar enthusiasts, especially the smokers who love the lavish medium-bodied that Cohiba Dominican Cigar has to offer. Premium cigar smokers love to always have this cigar in their box because of its toothy African Cameroon wrapper, the Dominican Republic filler tobacco and Indonesian binder that makes for a balanced smoke with flavor notes of spice and nuts. 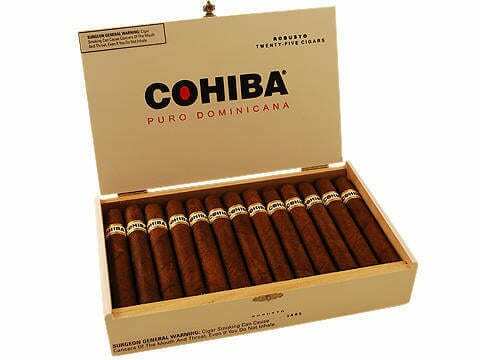 You will never go wrong smoking Cohiba Dominican Cigars because it is sweet, aromatic and offers premium smoking experience. If you are not smoking this Cohiba Dominican Cigar, then you have not been smoking anything. Just give it a go and you will see the difference. Made with all dedication and inspiration, Cohiba has done a great job making Cohiba XV Cigars. This cigar is a super rich premium cigar from one of the most respected brand. It tastes promises heightened levels of refinement. This cigar burns perfectly with an effortless draw, which is why it is the favorite among the elite cigar smokers. With the aroma of earth, salt and nuts, Cohiba XV Cigar first few puffs are dominated by the candied almond sweetness. If you are a premium cigar smoker, Cohiba XV Cigars will please your palate with its well-balanced mix of nutty sweetness, pepper and earthy taste. It burns perfectly and when you combine that with the complex flavor profile, you are sure to enjoy smoking Cohiba XV Cigars. Cohiba Lonsdale Grande Cigar has a medium body. It contains the Dominican filler and Indonesian Jember binder that are enclosed in a rich African Cameroon wrapper. This cigar is a masterpiece and perfect for every occasion. It features smooth, creamy, flavorful taste one can never forget. Its flawless finish and legendary taste make it an enjoyable cigar. If you are looking for a cigar that is perfect for every occasion whether indoors or outdoors, Cohiba Lonsdale Grande Cigar is the best choice. 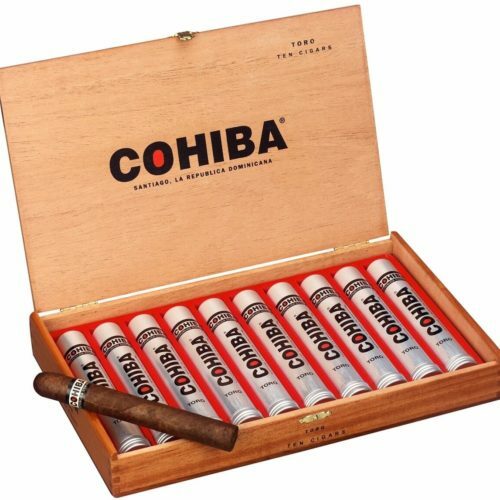 Of course, several Cohiba cigars are not on this list; we guarantee that any Cohiba cigar you choose to smoke will give you the premium experience that you won’t get from other cigar manufacturers. If you really want to complement your day in style, smoking Cohiba cigars will make you feel great. This entry was posted in RYO LifeStyle Blog and tagged Cohiba Cigars.